In the United States, truckers are the glue that binds product with consumer, connects supply with demand. Without them, our economy would grind to a halt. We depend on truckers for getting us everything we need or want. 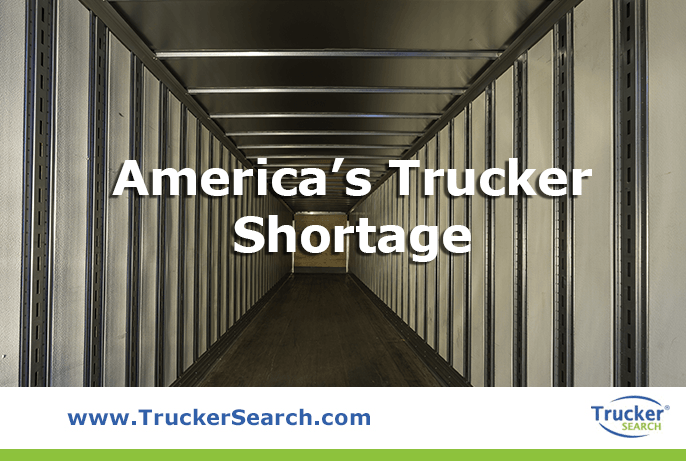 This is why the current shortage of trained truck operators in the U.S. is such an alarming problem. It’s been predicted that if things stay on their current path, the shortage could reach a deficit of 174,000 drivers by 2026. In 2017, truckers were moving more than 70% of freight in the U.S. The main reason for the shortage in drivers is the imbalance of incoming and outgoing drivers. As a large number of truck drivers are retiring, a much smaller number of people are entering the field. It’s been a while coming but the Great Recession slowed the problem as consumers were buying less but it became apparent as the economy grew and the number of drivers did not. Being a truck driver can be a hard life. In the past, traditional family roles had a mother who stayed at home and took care of the house and children while the husband was the main breadwinner, focusing on the job, no matter how many hours it kept him away from home. Now, couples focus on having a balance between their work and home life with shared responsibilities when it comes to both. This makes a career as a trucker more difficult. The hours. Driving a load from one end of the country to the other isn’t for everyone. The hours are long and exhausting and most people would rather sleep at home in their own beds instead of one in the cab of a truck. Little family time. If you want to start a family, life on the road doesn’t leave much time for going to little league games and reading bedtime stories. The sedentary lifestyle. Sitting in a truck all day is hard on the body. When you factor in the lack of healthy fast food options on the road, it can be an unhealthy occupation and lead to serious physical issues. It’s dangerous. According to the Department of Labor, on-the-job deaths in the transportation and warehousing industry was at a staggering 825 deaths in 2016, making it one of the top most dangerous jobs, second only to construction which had 991 deaths. The shortage is causing shipping rates to rise. Because companies are paying more for truckers, the cost gets passed onto consumers. Thanks to Amazon’s 2-day shipping model, consumers expect their orders to arrive within just a couple of days. With the trucker shortage, freight is taking longer to ship which cuts into sales and is slowing the economy. While the shortage may be bad news for trucking companies, shippers, and consumers, it’s good news for truckers and people considering a career in the trucking industry. Not only is there an abundance of job opportunities, there are plenty of incentives too. Better pay. Carriers are offering better starting salaries. The current average income for truck drivers is $44,020 but is on the rise, and it’s not unheard of for truck drivers to earn more than $80,000 a year. To entice more drivers, companies have started offering large sign-on bonuses along with other incentives for meeting fuel economy guidelines, safe driving, etc. They can really add up but beware, with some companies, their huge bonuses have so many requirements they’re nearly impossible to attain. Better hours. Carriers are splitting routes and many retailers are setting up more warehouses around the country so consumers get their goods faster and truckers have shorter routes, keeping drivers closer to home. They help drivers get their CDL. The training course for a Commercial Driver’s License typically costs around $7,000. More and more companies are footing the bill for the course if you agree to drive for them for a period of time, usually a year. 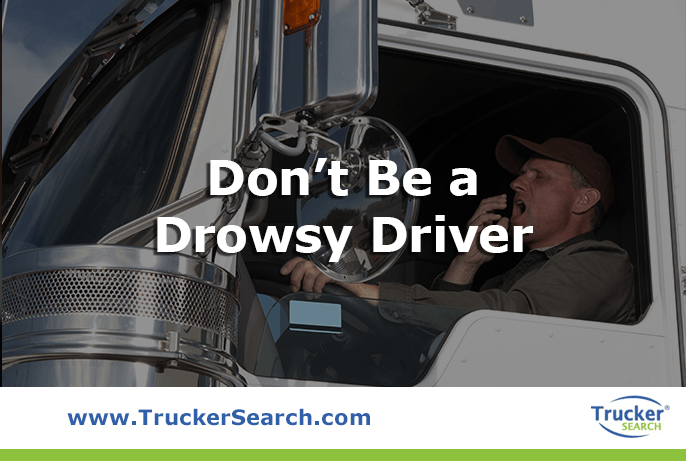 If you’re a truck driver or thinking of becoming one, the current shortage may be the perfect time for you make good money doing something you love. With Trucker Search, it’s never been easier for truckers to find jobs. Whether you want to actively search our database of available jobs or you want to post your resume so shippers can find you, TruckerSearch is an invaluable resource that’ll help you get out on the open road reaching your full earning potential. Call Trucker Search today at (888)254-3712 or go to TruckerSearch.com and get moving!